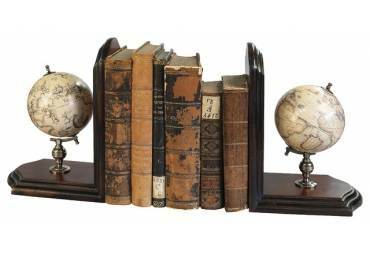 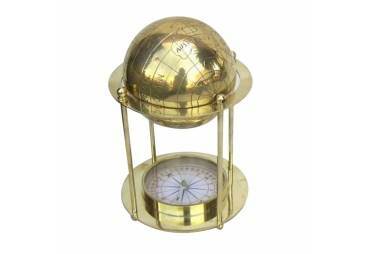 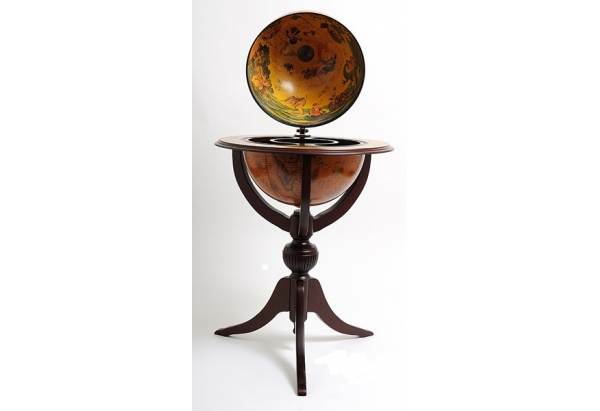 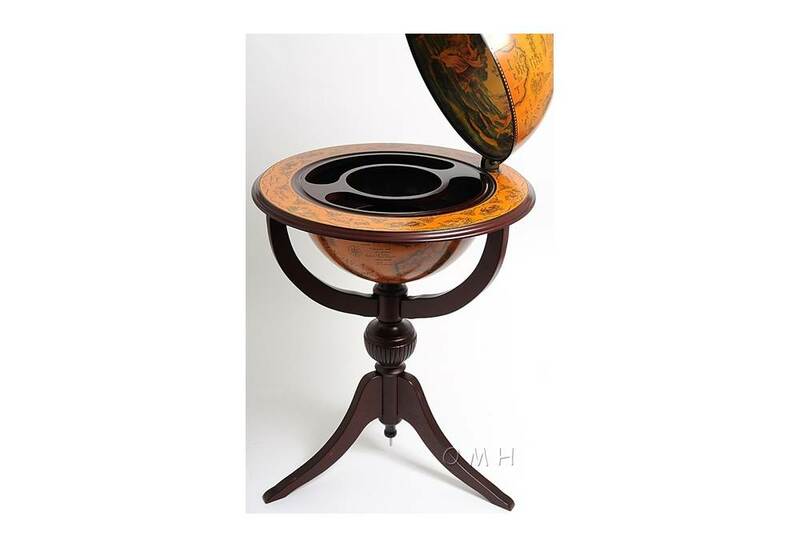 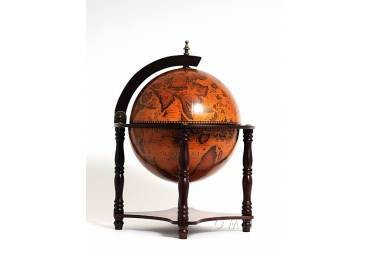 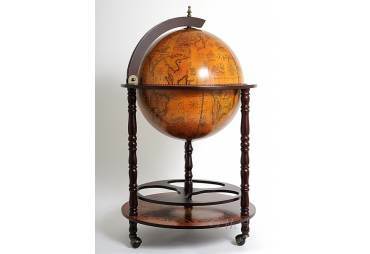 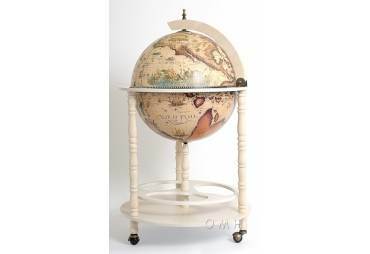 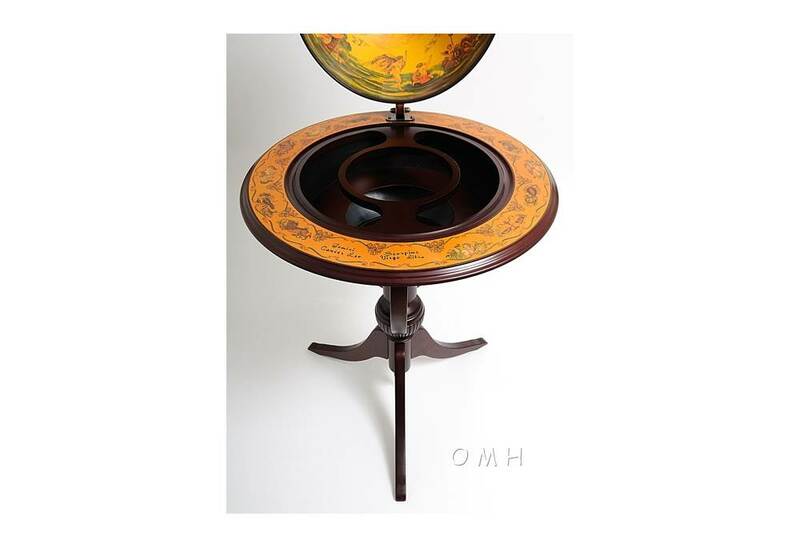 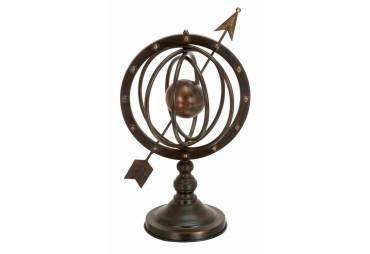 Featuring an old nautical map on its surface, the globe can be lifted to reveal the hidden drink cabinet and the highly decorated interior. 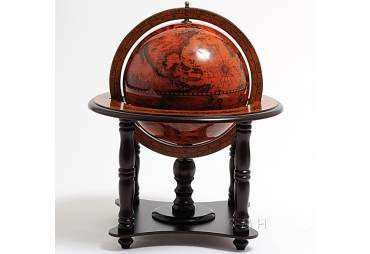 This cabinet is made of wood and painted in dark red mahogany. 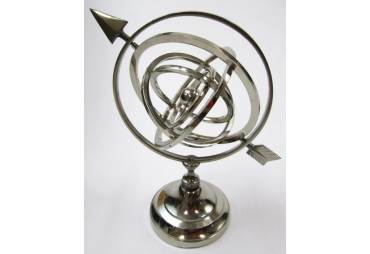 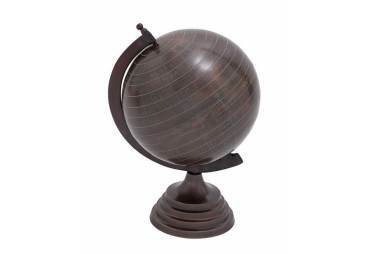 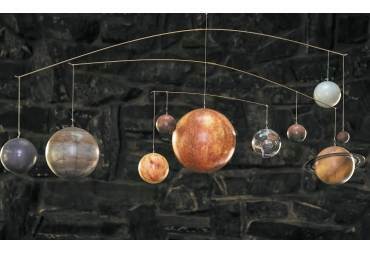 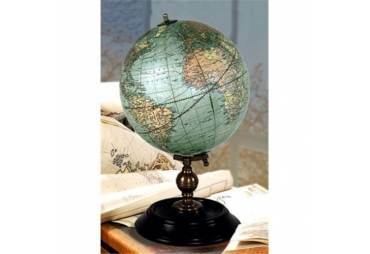 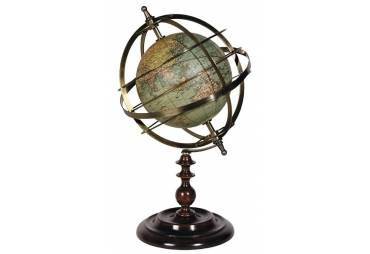 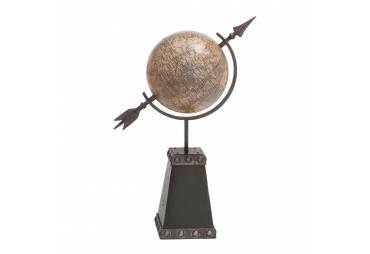 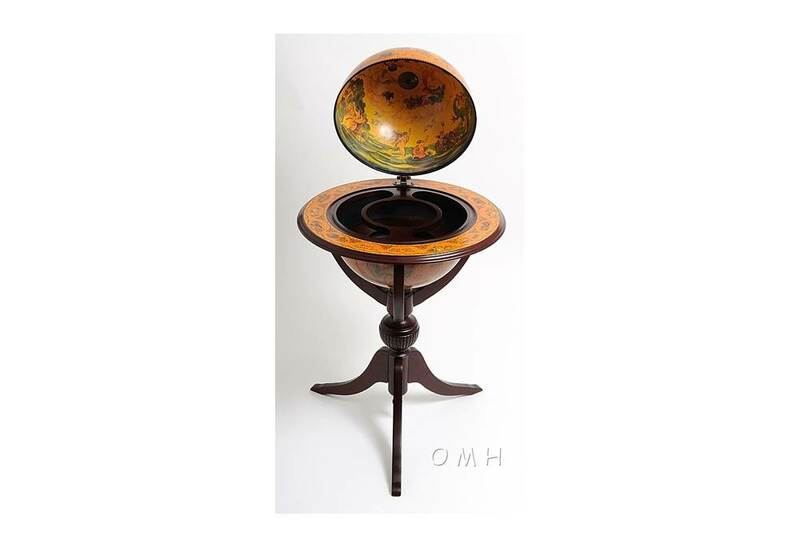 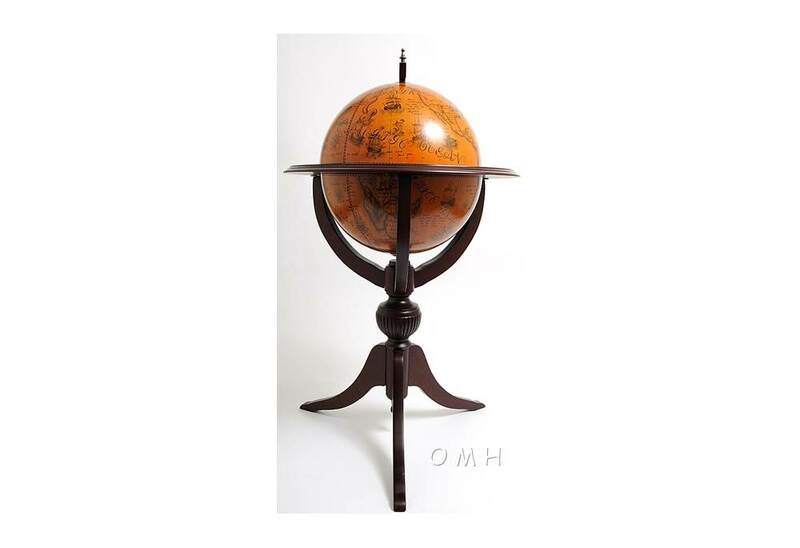 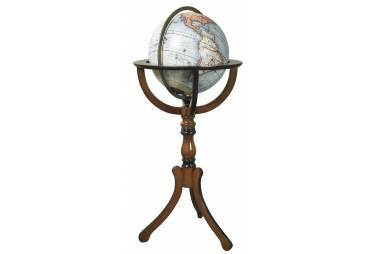 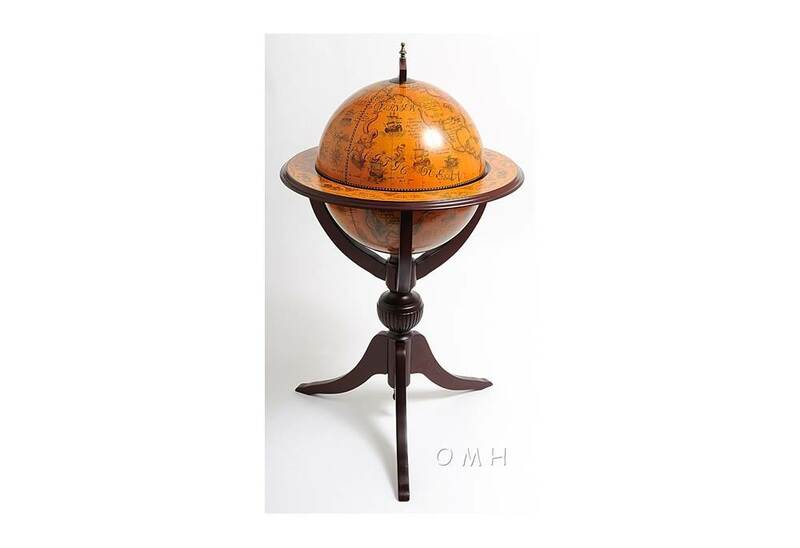 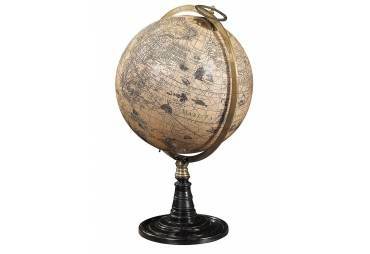 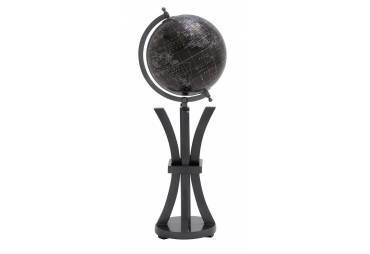 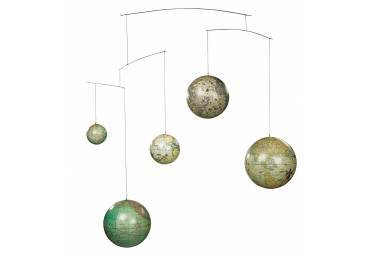 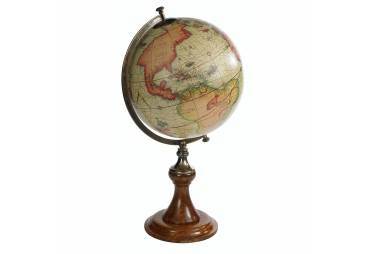 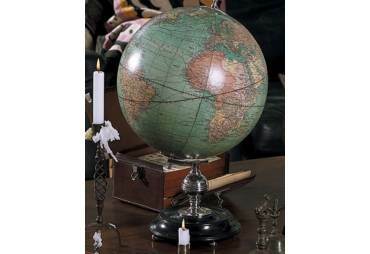 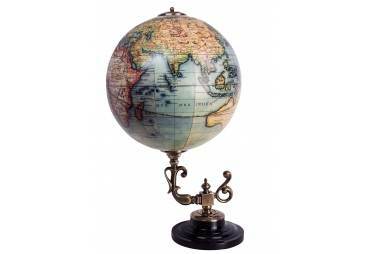 Globe measures 17.75 inches diameter. 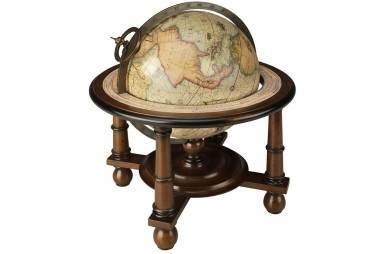 Overall dimension: 44x25x25. 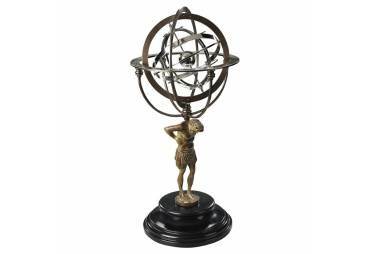 Some light assembly needed.